what a weekend making boomerangs! Now that the dust has settled in my life a bit, it’s time to make more dust…. sawdust! Saturday I focused on tracing and cutting out blanks from both plywood and polycarbonate. I have a few orders to fill and want to try to get my stock in better shape for future orders. I got 24 blanks cut out, then proceeded to set up the router and cut a 45 degree bevel on all of them. That should be enough to keep me busy for a while. Sunday I decided to work with some hardwood. I had just purchased a new 3/4 inch cut flat router bit. It’s great for cutting laps to glue up booms. I had wood I previously sanded to thickness along with some from Chris K. I set things up and ended up with 9 sets of boards ready to glue. I glued these up Sunday to dry for Monday. 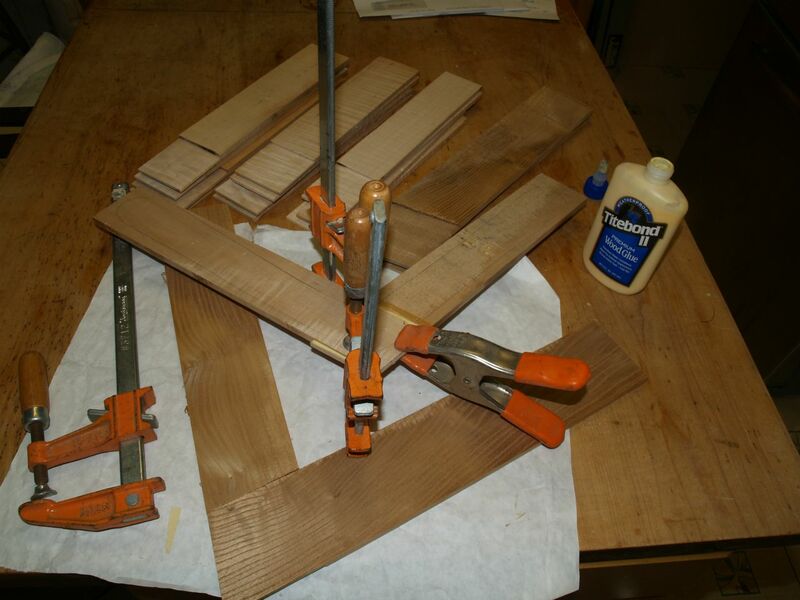 Monday I took the wood out from the clamps and traced the final shapes on them. I ended up with a nice assortment. I headed to the scroll saw and cut them all out. After that I set up the router table again and cut a 45 degree bevels on the fresh cut blanks. 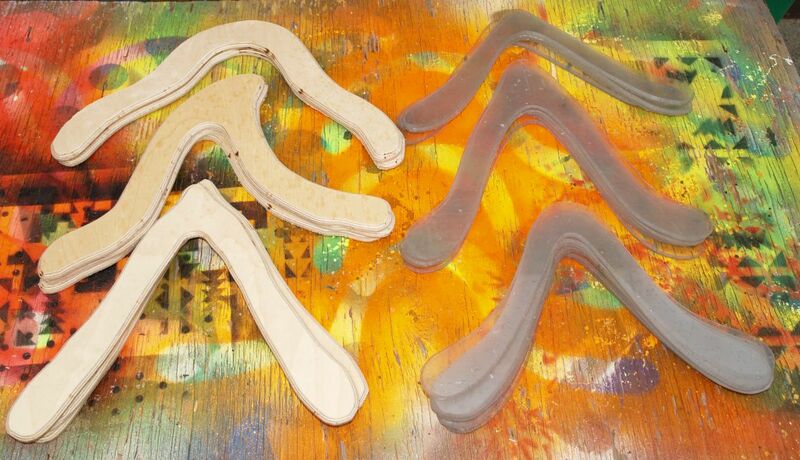 The weekend yielded me 32 boomerangs that are begging to have airfoils sanded on them. 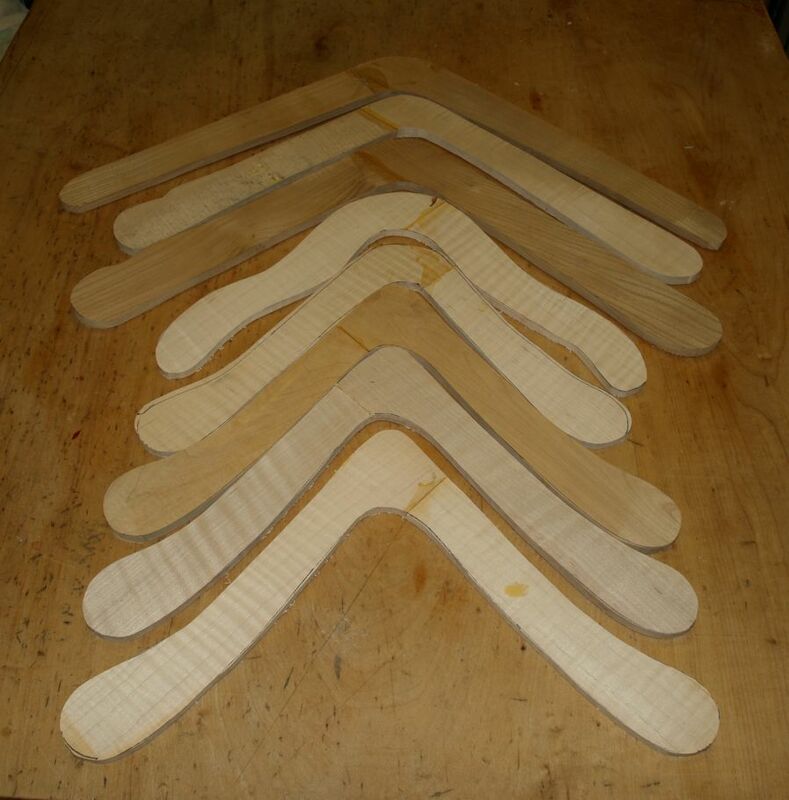 Memorial day weekend is rapidly approaching and I have plenty of boomerangs to shape.